Force10 Networks – Throughwave (Thailand) Co.,Ltd. Force10 Networks is the global technology leader that data center, service provider and enterprise customers rely on when the network is their business. The company’s high-performance solutions are designed to deliver new economics by virtualizing and automating Ethernet networks. 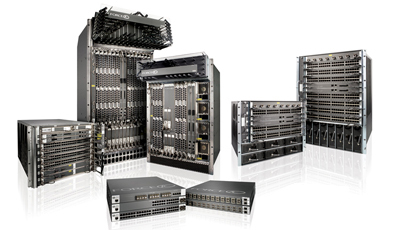 Our award-winning Ethernet switching and routing products deliver unmatched port density and resiliency to help our customers deploy a high-availability, agile and standards-based GbE, 10 GbE, 40 GbE and 100 GbE network fabric, while reducing power and cooling costs. Force10’s products combine the features of high performance hardware architectures that are purpose-built for non-blocking, line-rate throughput, with our modular Force10 Operating System (FTOS) software to deliver a unified end-to-end solution extending from the server and storage edge, to the network core and into the cloud. Our ground-breaking approach to open, standards-based automation and virtualization allows customers to transform their network infrastructure into a self-optimizing, reliable and accountable cloud computing fabric.